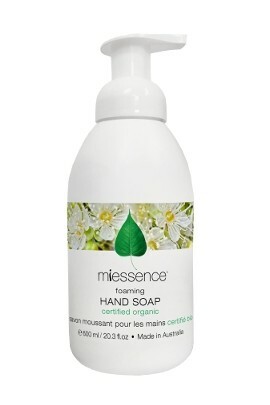 Miessence Organic Foaming Hand Soap (600ml) provides a convenient, economical and luxurious hand washing experience. 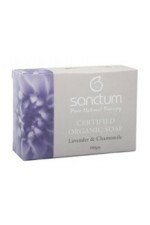 Air is infused into the soap as it's dispensed, creating a rich, luxurious lather. Children and adults love the smooth, creamy feel. 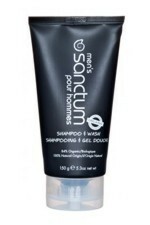 The instant foam provides a quick and easy wash, reducing the water requirement compared to traditional pump liquids. 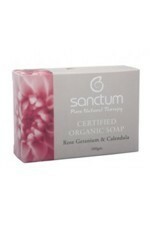 Because it is a true soap (saponified plant oils) it's naturally free of synthetic chemicals and detergents. 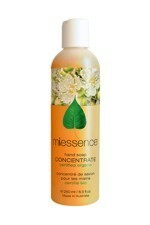 Contains organic soapnut and purifying organic lemon myrtle essential oil. 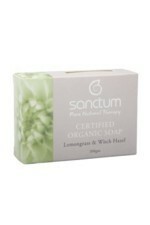 Simply pump a small amount onto wet hands and rub palms together to form a rich lather, then rinse with warm water. 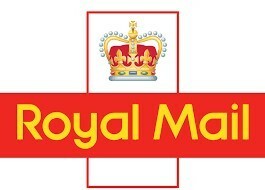 If pump becomes stuck clean in warm water and pump warm water through pump. Purified Water, Organic Sapindus mukorossi (Soapnut) fruit extract, Certified Organic Castile Soap, Organic Backhousia citriadora (Lemon myrtle) essential oil.